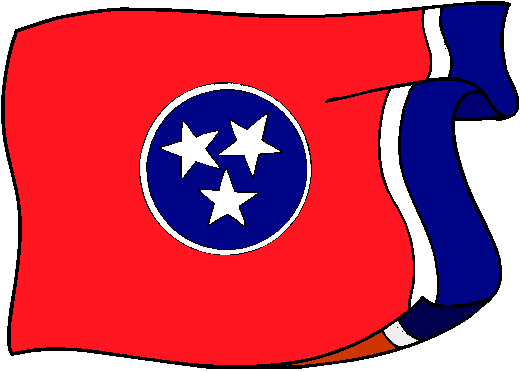 The flag of Tennessee depicts three stars (representing the three geographic divisions of the state - East, West and Middle), in a blue cicle (representing the unity of the three geographical divisions), on a red field. Additionally, there is a blue strip on then non-hoist side ("flag") of the flag, which has no symbolic meaning. The flag was originally designed by LeRoy Reeves of the Third Regiment of Tennessee Infranty, and adopted by the State Legislature on April 17th 1905.